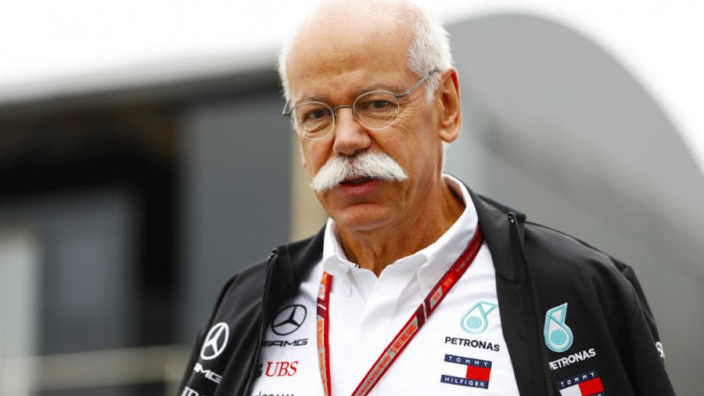 Mercedes Chairman of the Board of Management of Daimler AG and Head of Mercedes-Benz Cars, Dieter Zetsche, has written an open letter to the people of the United Kingdom declaring his wish that the country remain in the European Union, in light of further Brexit talks last week. The Silver Arrows are a German company, but have many locations in the UK which are key to their infrastructure such as their Formula 1 factory in Brackley and their High Performance Power Unit centre being based in Brixworth. With the UK set to leave the EU, it would likely affect thousands of European workers who ply their trade in the country. “Without your great nation, this continent would not be, what it is today – a community defined by freedom and prosperity. After the horrors of the Second World War, you did not give up on us. You have welcomed Germany back as a sovereign nation and a European power. This we, as Germans, have not forgotten and we are grateful! "Because we realise that the freedom we enjoy as Europeans today, has in many ways been built and defended by you the British people, we want you to know: We respect your choice. It is yours not ours. And should you wish to leave the European Union for good, you will always have friends in Germany and Europe. But you should equally know that we believe that no choice is irreversible. Our door will always remain open – no matter what! Europe is home. "You have become part of who we are as Europeans. And therefore we would miss you. We would miss your legendary black humour and going to the pub after work hours to drink an ale. We would miss tea with milk and driving on the left side of the road. And we would miss seeing the panto at Christmas. There are many more things we would miss without you. But more than anything else, we would miss you the British people – our friends across the Channel! We would miss you as part of the European Union, especially in these troubled times. "Therefore you should know: From the bottom of our hearts, we want you to stay! On the track, Mercedes have been dominant for the last five seasons, having won the constructor's and driver's championship each years since the beginning of the Turbo 6 Hybrid era.